No images today. Just a trailer for a skateboarding flick by the best dudes out there – Crailtap. Aaron “Jaws” Homoki with the biggest ollie ever. * You can watch the footage here and see the Thrasher cover here. It’s a shame Jaws wasn’t around when The Leap of Faith was still skateable. He could have rolled away for sure. *Thrasher is offering $100.00 for the measurement of this ollie. Where they’ll go from there I don’t know, but it definitely seems like the biggest. Props to San Diego homie Aldrin Garcia for setting the new world record for highest ollie – 45 inches. Dayum! 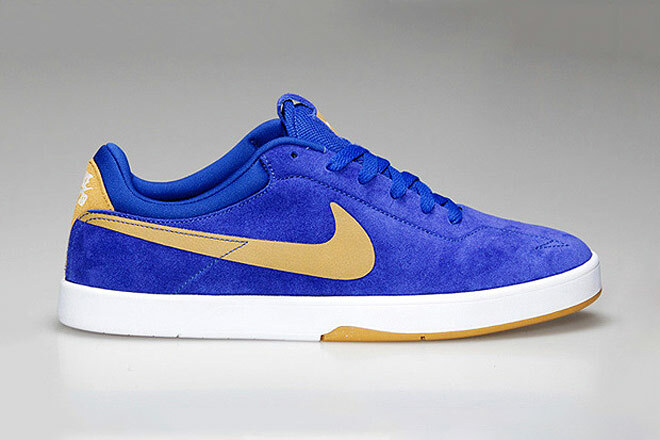 The first signature model by Eric Koston on the famed Nike SB line, the Nike SB Zoom Eric Koston One will be out this summer with a price point of $85. They look like a pretty nice skate shoe. But that price tag…meh. While I’ve had my share of Nikes to chill in, this is the first pair I actually want to skate in. We shall see. Dear NASA – I like your style.